“Årsrika” – an extraordinary art exhibition at the Gothenburg public library. Here, a positive image of aging and older people is presented with beautiful and thought-provoking photographs and personal stories. Stay fit during the congress – We offer you guided morning Run or morning Walk and a chance to experience the city. Relaxing morning Yoga, or swinging and invigorating Zumba where you can archive tranquility and peace of mind or energizing joy. 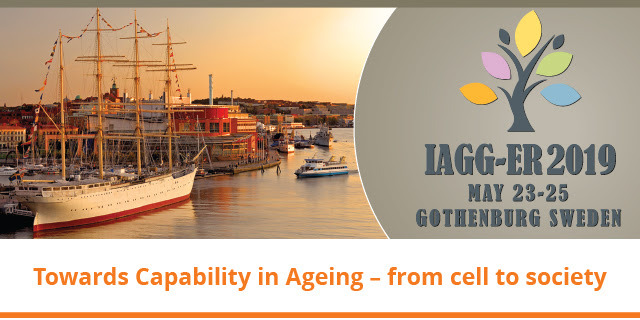 Congress dinner at Kajskjul 8 – A gourmet three-course dinner in the best company and later in the evening a live band playing very danceable ABBA music. Gothenburg – the city itself, with unique cultural life, enjoyable restaurants and beautiful scenery. Early Bird reminder and Additional keynotes Two months to go and now – more than 1300 registered!